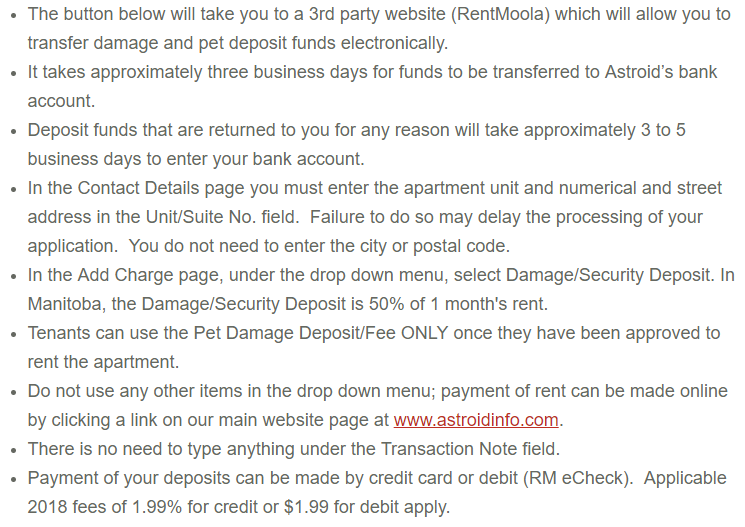 Please ensure that you have reviewed the Astroid Move-Out Requirements. This form shall serve as my authorization for the management company to show my apartment to prospective tenants. In Accordance with the Tenancy Agreement, I acknowledge that a $75.00 administration fee will be deducted from my security deposit if I move out sooner than the expiry of the lease term. I will be held responsible for the rent until the suite is re-rented or until the expiry date of the lease term whichever is sooner.